NJAS is currently recruiting volunteers for bird surveys coordinated through the Citizen Science Program. Participants must have some prior experience in shorebird identification and be willing to commit three days a month in August, September and October to conducting bird surveys. 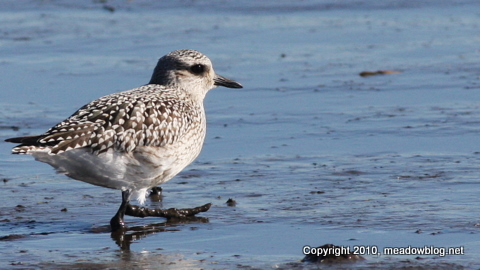 Shorebird survey volunteers are needed for the New Jersey Meadowlands and some coastal sites. Shorebird Associates are required to survey their site every 10 days (and at least 5 days apart) during southbound (fall) migration: Now to October 31st. For more information on this project, contact Nellie Tsipoura, nellie.tsipoura@njaudubon.org. Training in identification and count methodology will be provided by NJ Audubon. The NJAS Citizen Science program is a collaborative effort of NJAS, the NJ Division of Fish and Wildlife's Endangered and Nongame Species Program (ENSP) Data collected will further our knowledge of bird distribution and abundance in New Jersey.